Golden Jubilee Royalty, "Hostess Queen" selected on July 10, 1939. 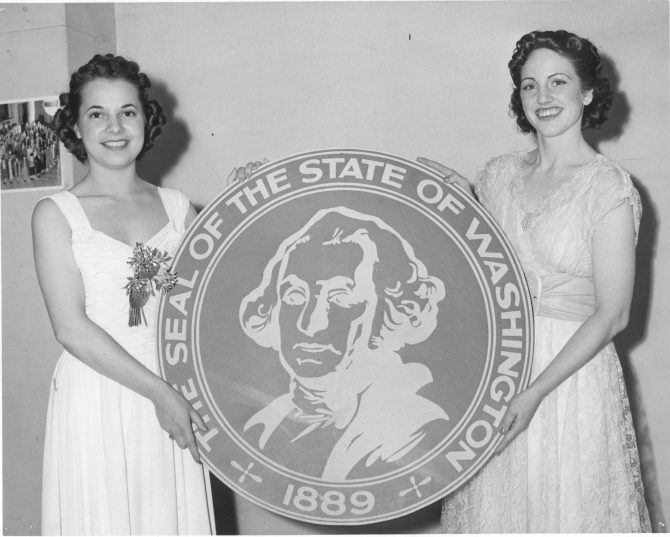 Two contestants, Margaret Franich, left, and Amy Lou Murray pose with a replica of the state seal. 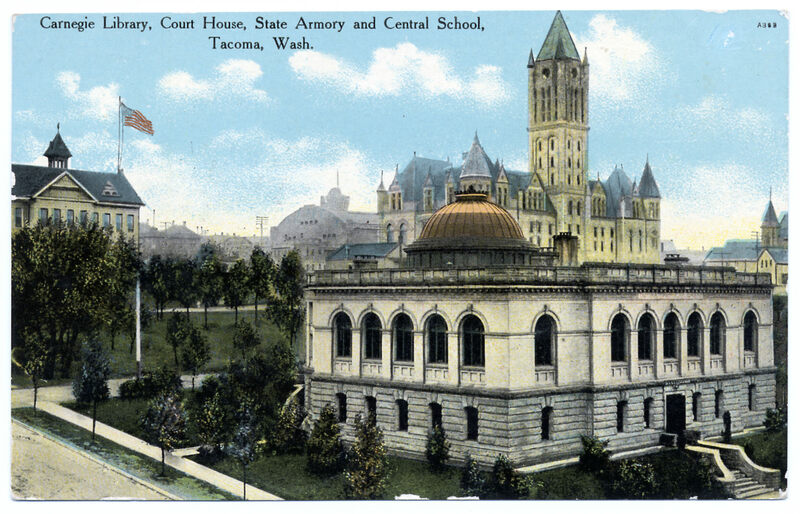 21-year-old Gravelly Lake resident Amy Lou Murray was crowned "Miss Hostess Queen" at the Music Box Theater with Margaret Franich, 23, as "Miss Pierce County." Because the voting was so close, both women would be sent to the Miss Washington competition the following week.